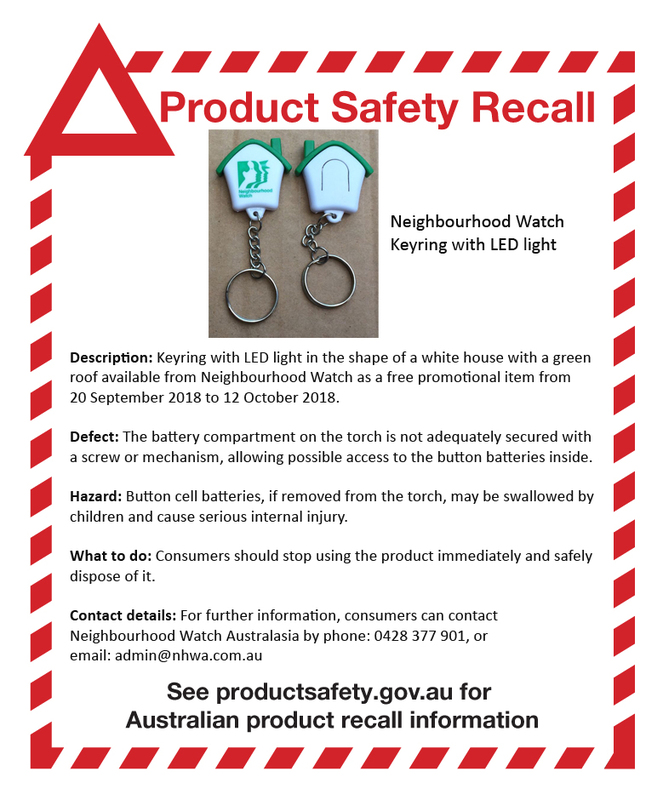 Keyring with LED light in the shape of a white house with a green roof available from Neighbourhood Watch as a free promotional item. Green logo printed on one side. Packaged in resealable plastic bag. If young children gain access to the button battery and ingest it, they may suffer internal burn injuries, which can result in serious illness and even death. In addition, the batteries may pose a choking hazard to young children. Consumers should cease using these products immediately and safely dispose of them.